We trade-in our 1978 mobile home to a new 2018 Skyline Manufactured home. We moved in before the Christmas holidays and we are enjoying it tremendously. It was a hard decision for us because we love our old home but due to insistent frequent repairs, we decided to consider replacing it with a new one. We went to several display centers to check out new model homes and none of them were helpful. We tried Alliance Homes and meet with Tran Tran. He explained to us all the options we need to think about whether we would want to sell, trade-in or cash out our old home. He is very patient and accommodating with us. It was a very long process and a lot of questions and concerns along the way but Tran efficiently made it easy for us. He is very knowledgeable and very respectful. He always made himself available to us even it is his day-off, he will come to his office to meet with us. It is really important to find someone who can support us in our needs. Tran really tried his best to make our transition easy and worry-free. Our new home was finished on time even though the weather was not cooperating because it was raining frequently. I was able to meet the set-up crew as I am visiting the home each time I pick up our mails. All of them are helpful, friendly, efficient, and would gladly give me a wave or an update if they see me walk by. We had an excellent experience with Tran and Alliance Homes and we highly recommend them. Tran, thank you so much for all your help, it is much appreciated! Keep up the good work! Brian Shaw recently helped us sell our manufactured home. He is responsive, knowledgeable and patient. Couldn’t ask for a better agent. Marc was awesome. The process was very simple. He traveled many times from San Jose to make sure everything was happening on time, and even brought loan papers to us. We feel he couldn’t have done any more for us. Alex Chow took great care of my needs, spend time on going into all new nearby houses to show options and what people do, helped with choosing best deal, listened carefully to what I’m looking for, spent time understanding my needs and goals. After that we were working on detailing the project, I got great support with all paperwork, I didn’t have to deal with mobile park management, all of it was taken care of by Alex. Really worry free and smooth operation. Brian Shaw is a remarkable person and an amazing realtor. We sold our house because of Brian’s expertise. Brian went above and beyond in answering our questions and with his incredible assistance throughout the process. We have shared with all of our neighbors that if they ever need a realtor to go with Brian because he is so personable, understanding and fun to be around!!! Grant has worked tirelessly to help us sell our home and then purchase a new one. We first put our house on the market approx. 1-1/2 years ago. He had our house sold contingent on us buying another home. Unfortunately, the purchase of the home we wanted didn’t work out, so we weren’t able to finalize that sale. He had our house sold in less than a week! The more difficult part was helping us purchase a new home. It’s been a process, finding the right home, at the right price, in the right location, with Grant being available by text or phone almost any time, and having to do a lot of “hand holding” when disappointment after disappointment occurred (sometimes feeling like we were jinxed!). Finally, found the house! Grant has had to work with a very difficult agent and seller to make this happen, guiding us through the process. We expect to be in our new home in a few weeks! We would not hesitate to recommend Grant to anyone looking to buy or sell a manufactured home, because of his hard work and professional and positive attitude. I would like to thank Michelle for her professional experience in helping us get the home that matches perfectly to what we need. She put in lots of time and effort to help us close. Never tried to up sell us or guide us to buy something that was listed by Alliance. While we were looking at what was cool or exciting about the homes, she was looking for defects that we might have missed. I would recommend Michelle for anyone looking for an honest person to represent them to buy or sell. Thanks Michelle for all your work. I had been thinking of purchasing a manufactured home for a year or two before I was able to purchase. I had gone out to Alliance Homes to look at the models and do some preliminary pricing. Alex Chow gave me a folder full of information and encourage me to come back when I was ready to buy. I had approached another manufactured home dealership at about the same time; however, as soon as the sales rep discovered I was not purchasing that day, she walked off and never bothered with giving me information or following up with me. When I was ready to purchase, I pulled the folder of information that Alex had given me and went straight to Alliance. Alex remembered me and was as helpful as he had been when we originally met. I knew that this was the agent and dealership with whom I wanted to work. Alex was incredibly helpful and responsive to my many questions, comments, and concerns as a first-time buyer. I could always count on him to respond to my calls, e-mails, and visits in a timely manner. We would certainly recommend Alex Ching, Alliance Realtor, and Alliance Manufactured Homes to others seeking to purchase a beautiful home. Alex worked well with us in the design and construction of our new home. He was friendly, professional, and responsive to our wants and needs. He was helpful during the design, construction, purchasing and closing process. Alex is an honest individual and great agent to work with. We can highly recommend him to anyone seeking a professional realtor and purchasing a beautiful home. When it was time for us to replace our old unit, we found the folks at Alliance Homes very helpful. Our representative was Alex Ching and he could not have been more helpful in explaining all the new features in the models, and in assisting us with the options available. Alex worked with the factory until they were able to confirm the features and alterations we wanted. The folks at Alliance completed the setup on site and presented to us a beautiful new home. Our family, our friends and our neighbors have all admired the quality and spaciousness of our new home. We would recommend Alliance Homes and Alex Ching to anyone who is considering a new or replacement manufactured home. I had the great pleasure of working with Marc Blumthal! As my family and I first started out just looking with a hope of possibly purchasing a mobile home, Marc helped our dream come true! At one point we had even given up hope but Marc followed through and contacted us with homes to see that were more in our price point. We would not be moving into our home now, had he given up on us! He helped us so much with all aspects of this purchase. Even at the end of our process, we were out of town and a form needed to be signed by our new neighbor, I emailed him requesting his assistance and less than two hours later he already had it signed and emailed back! I’m grateful that Marc has been the one that we have worked with through this process! He is not only professional but dependable, informative and an all around great person! I highly recommend Marc to assist you in making your dream a reality! Thank you so much Marc! Thank you for getting us into a bigger home and selling our home in 2 days. We couldn’t have asked for a smoother transition and appreciate all the hard work you guys did for us. My name is Shirley Phan. 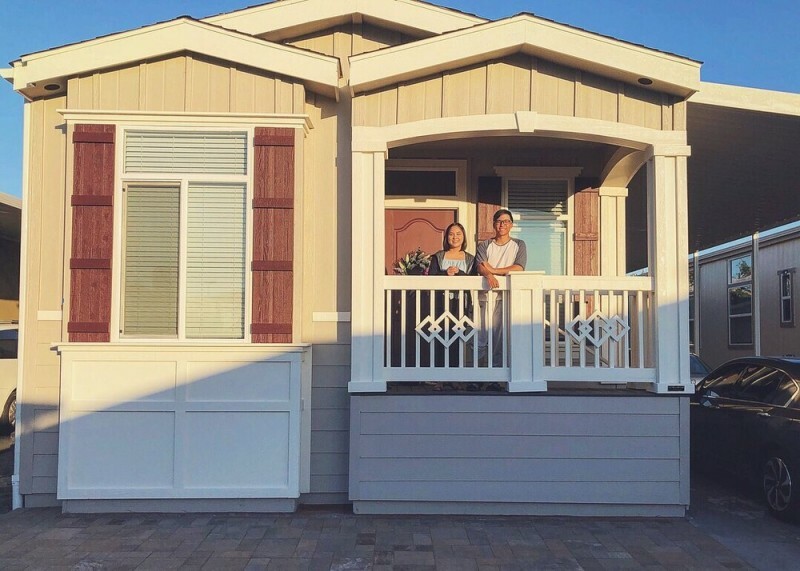 I am writing this testimonial based on my personal experience when helping our son to purchase his first mobile home in San Jose (Oct 30, 2018). The main reason that we picked Alliance Homes out of others because of my friends’ words of mouth. Through our friends who have lived in Alliance Homes and from visiting other model homes from another manufacturer in our local area, I have learned that the qualities of Alliance Homes are much better. Just to name a few, Alliance Homes put in granite counter tops as standard (our son’s case). Their standard cabinets are made of high quality materials, not cheap woods. Their included kitchen appliances are at very high end. They even threw in a pair of brand new washer and dryer without adding any cost to our son, which we all felt so grateful. Thank you, Alliance Homes! I would like to express our appreciation and thanks to our super agent, Mr. Marc Blumthal, who has been very professional and helpful to us from the beginning until the end. We have no experiences and this is the very first time that our son purchased a mobile home. We all have so many questions for Mr. Blumthal, especially a bout the mobile home park rules and regulations. I almost called him each day to ask questions. He always gives me the answers or would get back to me with the answers later if he isn’t so sure. He constantly provided me with updates on our lease contract with the park manager and the status of our son’s escrow. These daily updates have helped us tremendously and our son’s escrow was closed in less than two weeks. I have to say that Alliance Homes has trained their staff well! I have to admit that Mr. Blumthal has made our son’s first home purchase such an easy and positive experience. I have no doubt that Mr. Blumthal will continue to serve all his clients in the best possible that he can. He repeatedly told our son to call him if he has any questions or concerns after he moves in. I thought this is very kind of him to show us hat he is still there to assist our son. Thank you Alliance Homes for having such a great employee in your company. Alliance Homes is already on my number one referral list. When our other 2 adult children’s time to look for an affordable home, Alliance Homes will be our first choice. When my Mom, Bev McClure decided to purchase a modular home, I was particularly drawn to the units updated designs as well as the Casa de Amigos park. When I expressed my interest to follow in her footsteps, she referred me to her agent, Candy Bruno with high praise. Once I confirmed that I was ready to begin looking for the perfect unit for me, she was on a mission and did not disappoint. Candy walked me through the entire process of the escrow from day one. It has been many years since I’ve owned property, so her help with each step was essential. After the close of escrow, I was sure to let her know that I would need her assistance in 2019 to help my daughter find her ‘perfect’ home as well! Thank you, Candy! I love my new home, you are absolutely the best! After living in the same single family home in San Jose for 42 years, I felt the need to make a change to a smaller residence. I knew it was time to scale down and look for a smaller, single level home and without inside stairs. 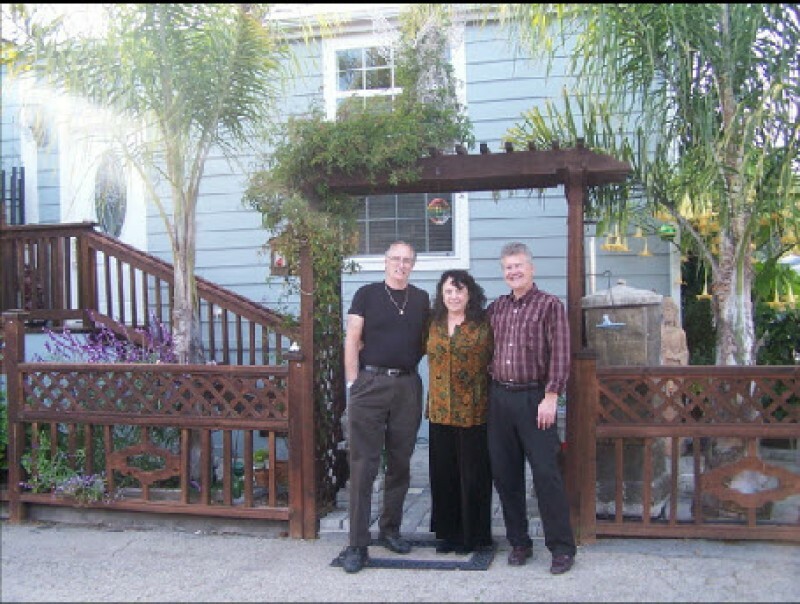 My Daughter, Denelle and her Husband Paul lived in a modular home in Casa de Amigos, Sunnyvale, California. Over time, he had many years of ownership experience with mobile and modular homes. Beings I had owned only 3 single family homes over the past 60 years, I started questioning him about details of which I had no knowledge relating to mobile park ownership. My questions had to do with present sales price, lot rent, utilities, several technical items, etc. He suggested that I contact his Agent that he had when he purchased his Modular Home in Case de Amigos. 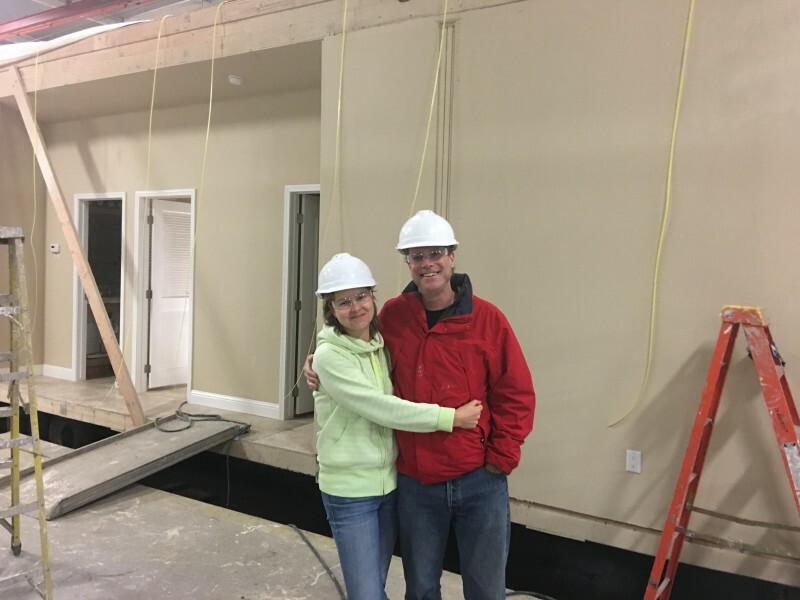 When I contacted Candy Bruno at Alliance Manufactured Homes, she invited me to come to her office where she could show me plans for a new Modular Home that would be ready for occupancy in a few months. By this time, she had my attention. My forty plus employed years included Real Estate Sales and also new development tracks of homes. I had just a little apprehension with having no experience with either, Mobile or Modular Homes, but I was interested when Candy invited me to go to her office. I was at ease with her from the moment we met, as well as after leaving her office. 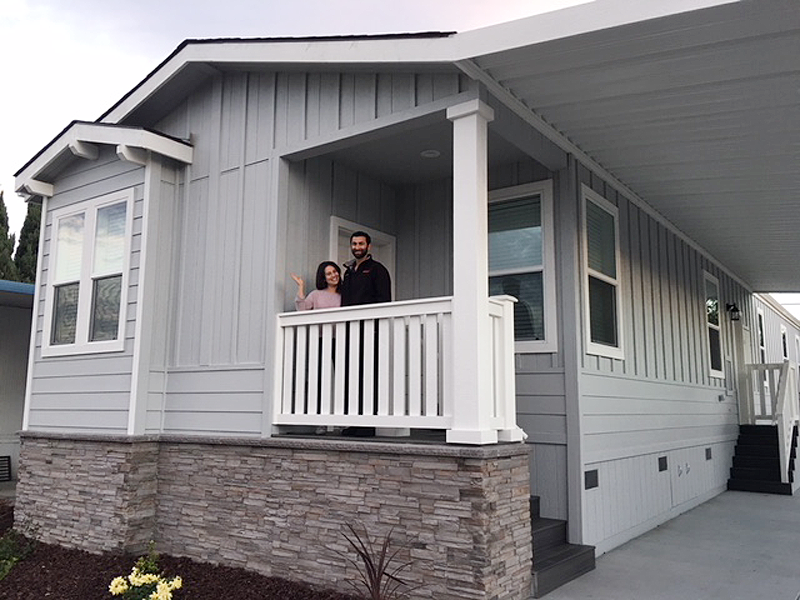 Our appointment set me in my course to sell my home in San Jose and purchasing a new Modular Home of which Candy showed me Plans and Finishes. The home would be located on a vacant lot in Casa de Amigos. Candy was very diligent with keeping me on schedule for the ultimate sale of my San Jose property and as well as the purchase of my new home. She also kept close phone contact with directing me and she also conferred with my agent that was handling the sale of my San Jose property. Together, they were successful with closing both escrows within one day of each other. Family interest in Mobil / Modular Home ownership and my referral of my Daughter, Deb to Candy Bruno resulted in her purchasing a home in July. So, she is now my neighbor, on the same street and just 12 homes between us. It does not stop there. Candy Bruno, a very personable and knowledgeable Agent, has been working with Deb’s Daughter, Christa, (my Grand Daughter) to purchase a home in 2019. Let’s see… that would total 4 homes of family that purchased in Casa de Amigos, and we have more! I can’t say enough how well I was treated during my home search process. Frustrated from the out of control house market, I randomly looked at a mobile home at an open house where I was lucky enough to meet Candy Bruno who was hosting the event. She was super patient with me, I had no knowledge of the mobile home market and industry. She guided me though all the pro & cons, new vs. old, financing options, trade-in option, etc. This was all done with no pressure from her or the Alliance management team. The entire process was handled with complete professionalism. She helped me find the perfect home for my current budget in an area I am happy to call home! I would highly recommend Alliance & Candy to a friend and look forward to the trade-in program! I mean it all, thanks for the help, HUGE HUG!!!! Rita is a dedicated and passionate advocate for her clients. Her depth of experience in the industry is unparalleled. We are grateful for her perseverance and assistance in navigating a complicated process to move into our beautiful, new, custom-designed Alliance manufactured home. My Alliance home was 2 yrs old when I purchased it for $244,000.00 it sold 5 yrs later for $390,000.00, that’s how well and beautiful their homes are built! Lan Nguyen was wonderful to work with in the sale of my home, she listened to me when other agents had no vision and she got the home sold in the terms I needed to start a new job on the East Coast, a cash-buy and 2 to weeks to close by looking for the right buyer…she’s a Rock Star! 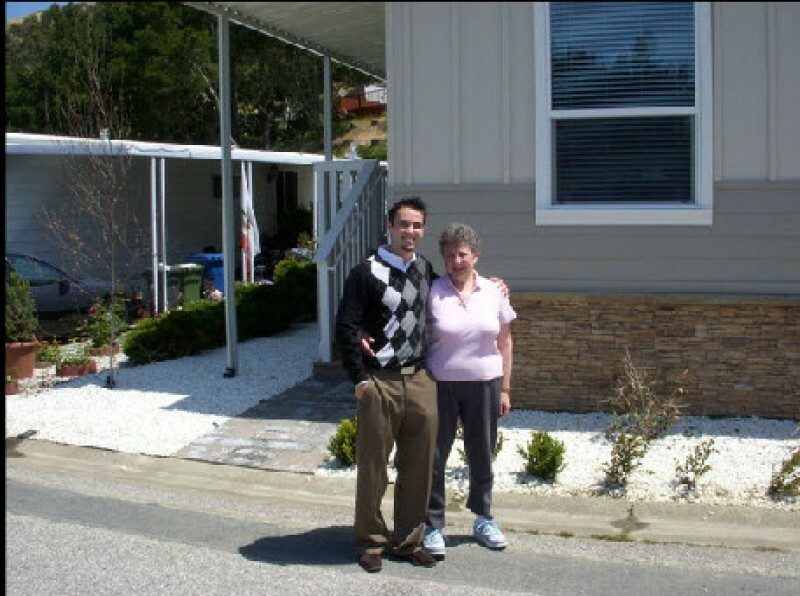 We had the pleasure of working with Alex Ching to purchase our mobile home in the Mountain Springs community. We purchased a 1978 home, and completely remodeled the home. We worked closely with Alex to put in all new flooring, windows, paint, appliances and fixtures. It was an extensive project, but we are very happy with the outcome. We would recommend Alex Ching and Alliance Homes for anyone looking for help with their housing needs. Brian Shaw and the Alliance team (like site construction team members like Fernando) were wonderful to work with. We had a very specific budget, and they delivered a dream home on time, built just as promised, and on budget. Brian is honest and highly reliable. When trust is the most important thing in such a big decision as a home, we are grateful to have worked with Brian. Brian also is very familiar with construction and has a good eye for aesthetics. One of the best looking mobile homes we’ve ever seen was a custom design of his. Over the year long process, Brian always had our best interest in mind, trying to meet our needs, save us money, and creatively and quickly adapted to changes initiated by us, or by unforeseen circumstances. We always felt taken care of, I recommend Alliance, and particularly, Brian to anyone. Tip: Any mobile home build order works best when you know exactly what you want, so take time to think through paint colors (inside, outside, trims, windows/doors), floor types, counter types, etc. Thank you Lan Nguyen for your excellence services in helping us buy a brand new mobile home from Skyline! We first met with Lan at an open house and discussed with her our plan. At first, we wanted to purchase a new home so ended up on a waitlist for available space at the mobile home park we wanted. A little of over one month, Lan called us back about the good news that space has opened up. We worked with her to start customizing our home and then realized later that this didn’t fit our needs anymore and we decided to buy a new mobile home that was available for sale at the time. She was very patient in the process and gave us helpful feedback in helping us decide what home would be right for us. I would highly recommend Lan as she is very friendly and know what she is talking about. As part of the walk through, she would help point out some defects that we missed which showed that she really cares for her customers. She is willing to work around the clock to make her customer happy by replying to my emails after hours which really helped with my busy work schedule. Planning from our side changed, and she was able to get the home manufacturer to finish up the home faster to help us with our move in date. An AC unit was also installed with the home which she helped out on. There were defects in the homes, but Skyline was able to send their tech’s down to fix the defects after we closed out escrow. So far, we are happy with our purchase and the 15 months warranty gives us a peace of mind regarding the house. My husband and I just bought double wide manufacture home from Alliance and had just move in for July 14th. It is beautiful. Brian Shaw, our broker made it so easy going through the entire process. Before we picked Alliance we looked at a few mobile homes dealers even travel to as far as Modesto. Of all the places and agents we talked to none of them willing to explain the detail unlike Brian. He explained to us in detail and he did not pressure us to make decision. On top of that he knew exactly the style of homes we wanted (open floor concept) even though there were none on the dealers lot have sample for viewing. Brian showed us one of the home he sold to another client of his and once we saw it, we fell in love right away. Brian not only he is knowledgeable of real estate but he is a good listener to know exactly what we want. We would recommend Brian Shaw to anyone who is looking to buy or trade in mobile/manufacture home. He is great at his work. He love our home. Thank you Brian. I was in the market to buy for quite some time when I met Brian Shaw at an open house from Alliance MH, basically I would just search up open houses online and would show up to check the places out myself and that’s how I’ve collected decent amount of information related to Manufactured Homes, no land, space rent, etc. Brian quickly learned what I like as far as style of a manufactured home, the parks I liked the most and all, and immediately set up a next 2-3 MH visits just within 1-2 days. He is an amazing agent who knows the market inside-out, extremely knowledgeable in MH field, buys, sells, builds, remodels and he won’t miss any texts or calls to answer all your questions, I’ve got responses even while he was away on vacation. With his amazing help, I now own my Manufactured Home at my favorite park and I can not be more grateful for working with him and his bits of advice along the journey. I see some people share their lack of knowledge about these homes here and blame it on the agents, well this is a different market than regular Real Estate houses that everyone is familiar with, and if you are new I suggest get some help to learn more. I truly enjoyed the last very short part of my home search with Brian and learned tremendously. I would have given more stars if I could! In March, my wife and I met Brian Shaw, an agent representing Alliance Mobile Homes, at an open house in Casa De Amigo Mobile Home Park. He shared some valuable insight regarding the buying and selling of mobile homes. My wife and I were impressed with his knowledge and what he was willing to share with us. So needlessly to say, when we were ready to sell our mobile home he was first on our list to interview. We were impressed by his knowledge of the mobile home industry. We interviewed a couple of agents. But Brian was our choice. After we hired him, he came over and went over all the details. He gave some additional suggestions that would help our home sell faster. We took him up on his suggestions. The house went on the market on a Friday and on Sunday we got a full price offer. As a result of maintaining our home, staging it and following Brian’s recommendations we are very satisfied with the outcome. I would highly recommended Brian Shaw to be your agent to buy or sell. 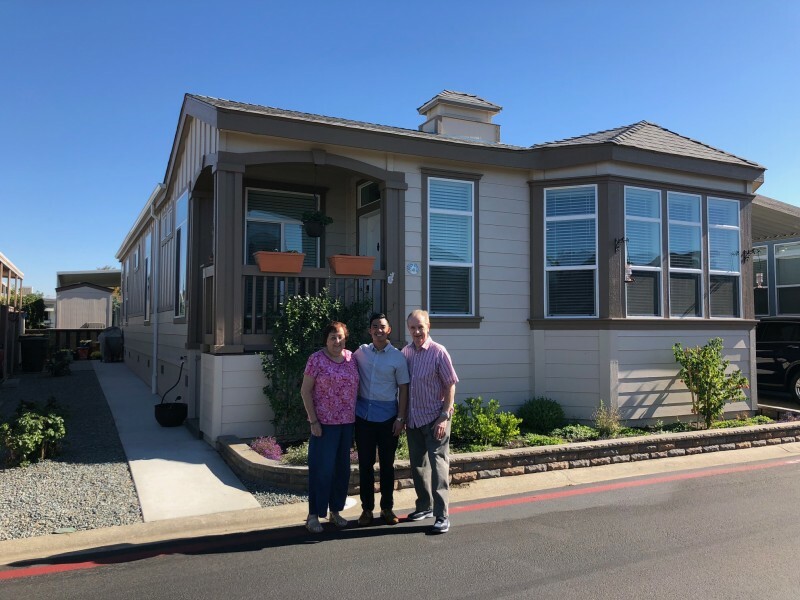 I want to let you know that we highly commend Tran and Lan for their knowledge, professionalism and passion for excellent customer service while helping me sell my deceased mother’s mobile home at the Magic Sands Mobile home park. We can’t thank them enough for lifting a huge burden from our shoulders especially because we live out of town. It wasn’t long after first meeting them that we instantly trusted that our needs were in their best interest. I posted a review on yelp commending them also. Every real estate agent should have the integrity that they have! Please let them know that my husband and I appreciate everything they are doing for us in the sale of my mother’s mobile home. You have two professionals working for your company that are invaluable! We began discussion with Taylor Smith before we even had a mobile home. Once we bought one, Taylor was really helpful in suggesting modifications to standard floor plans to take advantage of our lot’s view. As the project progressed we transitioned to working with Dave on the details and installation. The project went flawlessly. We were told it should take 9 weeks from the removal of our old mobile home to moving into our new manufactured home, and they were right on schedule. The crews who did the work–from demolition through every phase of the installation–were expert, courteous, knowledgeable, and professional. Our new home is gorgeous: 9-foot tray ceilings with crown molding, granite and quartz countertops, stainless steel appliances, textured walls, tile shower, soaker tub, skylights; and all in an energy-efficient Energy Star-certified package… Almost anything you would find in a new “stick-built” house is in ours, at much lower cost. We highly recommend Alliance to anyone in the bay area who is looking for a quality manufactured home that is expertly built and installed. We worked with Lan Nguyen to purchase a manufactured home in a beautiful park. Lan was wonderful, patient and really listened to our needs. 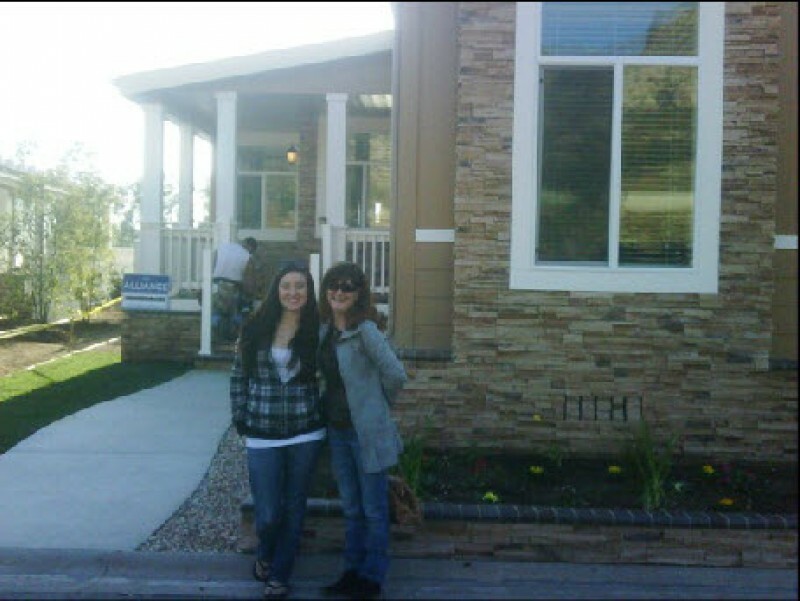 She was recommended to us by our friends that she also helped purchase a manufactured home. We are so pleased with our large, comfortable new home. Thank you again Lan, you know how to get things done! My education tells me, and my most wonderful repeat-experience with Michelle confirms it, moving into a new lifestyle is an immense emotional journey. In some, it even triggers psycho-somatic syndromes. Michelle is superb in making the transition into a highly educated decision-making with consideration of manufactured home technology (did you know that their insulation is much better than in most conventional homes?? ), yet a very humanly and gently guided house-hunting in the jungle of Silicon Valley. Bravo, Michelle! Brian Shaw and Alliance did an excellent job for us! He is very experienced and helpful. These manufactured homes are roomy and beautiful with high ceilings, crown molding, marble counters, marble baths, definitely nicer than most townhomes! I bought an Alliance home in 2015, absolutely love it! Ara helped me find a prime space in a park I wanted to be that has a huge fenced in yard for my pups. I was able to change the layout of my home since I purchased it before it was built. Added doors, windows, outlets, water spouts and picked my own cabinets and floors. Such a nice and spacious home. Excellent attention and communications through the whole process and I bought a Karston which is great quality. I sold my mobile home to Glenn; hassle-free, no headaches, easy transaction would definitely go there. I would highly recommend Alliance to anyone in the market to buy or sell a manufactured home. My husband and I were in a time crunch to purchase a home. 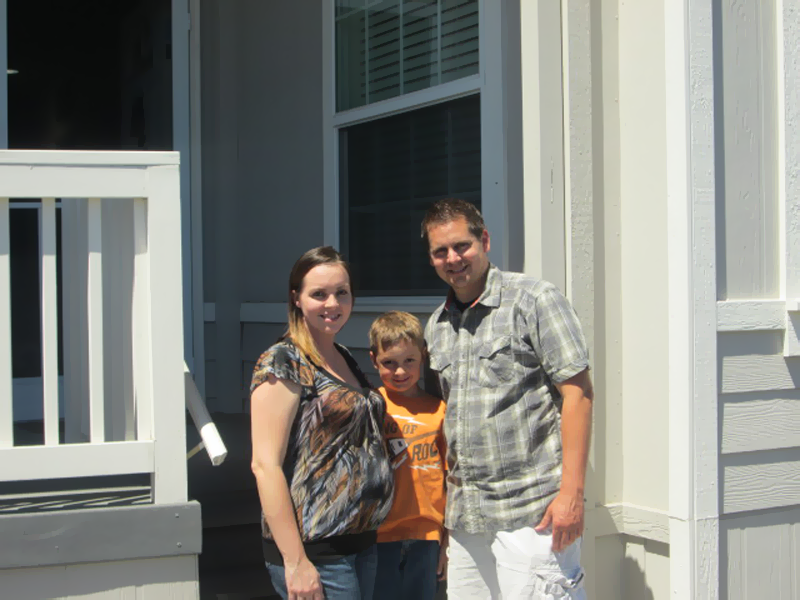 We contacted Brian Shaw and he helped us find a home and close escrow in 30 days. The whole process was easy and painless thanks to the tireless effort from our wonderful agent. Thanks again for everything. I would highly recommend Lan Nguyen if you are looking to purchase a home. We were in the market for a mobile home for my mother in law who was moving from out of state. From the beginning, Lan was very responsive to all of our questions and extremely flexible with showing various homes to us and coordinating questions between us and the seller. I feel that she had our best interest in mind, and was transparent throughout the whole process. Purchasing a home is very stressful, but Lan did a great job guiding us through the process which in turn decreased our overall stress. We ended up purchasing a home that is perfect for my mother in law and we are all very happy with the experience we had with Lan. I cannot say enough good things about Alliance Manufactured Homes and how amazing their staff are. Their manufactured homes are simply beautiful that demonstrates the utmost quality. So far throughout the whole experience at looking at their display model homes and learning more about the process in regards to a trade-in have been very informative. Anyone you talk to at Alliance are respectable and are willing to help out any future home owner. I believe that what makes them the best in the industry is that they are constantly offering a vast array of design options accompanied with their in-house marketing department, finance department, insurance branch, and construction company. So far throughout my experience in inquiring about the homes they offer, my family and I met agent Tran Tran. Tran was always polite, professional, efficient, and very knowledgeable in the whole process. Tran is easy to work with and keeps my family and I informed all the way through. We are very grateful to have found him as he helped to ease the stress of figuring out the process of a trade-in. If anyone asks me where they should go in regards to purchasing, selling or trading in a home, Alliance Manufactured Homes is the way to go. There is something for everyone, from a buyer on a tight budget to a buyer who wants it all, they’re there for you in every step of the way. 5/5 for experience, professionalism and wonderful craftsmanship! Selling a home is / can be a very stressful process, especially being my first time going through this process. Finding the right realtor would diminish the stress of the move.. As I started to wind down the moving efforts of my home and getting the house vacated to be sold, I find myself wondering how to find a realtor that I could count on and trust. As I looked through the many realtors out there, Lan’s name came into light. When I called, her soft spoken voice gave me that immediate assurance and feeling that I would enjoy working with her. I explained that I would like to sell my house and she mentioned that she could meet me on the same day / morning. Lan came by my house with such grace and confidence that there’s no question that I would not have her represent me. I knew then that I can count on her. She showed me the market value with the surrounding neighborhood and was able to answer all the questions that I have. It speaks a lot about her. She came well prepared and as we went through the contract, she explained questions that I have before signing..
Knowing that my new place is 300+ miles away, she assured me that she will take care of the paperwork relating to the park that I lived in for nearly 14 years. She reduced unneeded paperwork stress for me and got the home inspection effort going. Within a week or so of the listing, she was able to get my house sold. She was very clear in explaining the offer at hand and things that we needed to get done for the closing of the house. Lan was very easy to work with and keeps me informed all through the way. I am very grateful to have found her as she helped to ease the stress of selling a home. I couldn’t recommend her enough.. Whether you are buying or selling a home, you can count on Lan as she’s a very special, confident, hardworking and trustworthy realtor. I appreciate her efforts and wish her continue success. First thing is that Ricardo was very professional and very knowledgeable. The biggest thing for us coming into buying a manufactured home was that we had no experience. We felt comfortable dealing with some of the most knowledgeable people in the business. Mike and I just want you to know you are the best! It seems full circle where you sold us the house and now you sold it for us for a great price. You were there when we had questions and you had the answers. When we first met with Brian Shaw at our home, the house we wanted to sell, I was greatly discouraged. I loved my little house but it had been on the market for 6 months with no action! Brian looked over our house and gave us an honest opinion on what we needed to take care of to make our house more appealing. He immediately arranged for all the inspections we needed to get done, new pictures to be taken, new flyers to put out, and concluded with telling us he could sell our house in 3 months. I was thrilled and set about accomplishing the tasks he had suggested to me. Good thing I was fast! Brian sold our house in 3 weeks!! He helped us through the Escrow time and all the negotiations. We got the asking price and he made sure both the buyer and seller (Us!!) were happy with the deal. Would I recommend Brian? You bet and I have!! He helped a good friend of mine get into a little house just a few months later!! Brian is knowledgable, intelligent, honest, and kind! You could not find a better agent to help you buy or sell a home! I hired Lan Nguyen to sell my mom’s Sunnyvale manufactured home of 30 years. She helped me every step of the way and worked with the park managers and new buyer through the inspections to park applications for new residence. Lan is very professional and handled the buyer and seller relationship smoothly. She is patient and realistic. I highly recommend Lan if you plan to sell your mfg home or are looking to buy one. She understands what needs to be done from the sellers and buyers side. She has good relationships with park Managment to ensure their needs are met too. She gets the job done efficiently and effectively and organizes all the paperwork and she accommodating for special needs too. She does not need to be micro managed and that’s was VERY helpful for me. Lan gets the job done and I highly recommend she help you buy/sell your mobile home. Thank you for everything you have done to get me into my new home, including all of the work that you did to make this happen for me! I knew the moment I met you at the mobile home park that you were trustworthy, knowledgeable and very likable. Thank you for keeping your eyes out for me and building for me a beautiful home. I wish you all the best! Again, thanks for everything! I really do not have enough words that I can use to thank Michelle Quintong! Buying a new home is not an easy process but thank goodness, we had an amazing agent like Michelle. Michelle was always polite, affable and extremely efficient. We had some out of the box happenings with this purchase and we could not have completed the transaction without Michelle’s diligence and desire to do nothing but assist her clients. Michelle, we really cannot thank you enough for your professionalism and all your after-hours work that you put in for us. We are so grateful to you. My wife and I purchased our first manufactured home in Sunnyvale. Lan Nguyen was our agent, she stayed in contact with us every week during escrow, informed as far as where we were in our process of purchasing, and made a whole purchasing process very easy and we were able to close escrow in 3 1/2 weeks. I had a lot of questions about The leasing process, what type of insurance that we needed as well as property tax information in regards to owning a manufactured home, she patiently answered all my questions and explain the whole process to us. During our move-in process there’s a few things that came up and she was able to help us resolve our issues very quickly. I would highly recommend Lan Nguyen for either purchasing or selling your property. Lan thank you for all your help. We are very happy with her new home. My husband and I are VERY happy with our Skyline manufactured home, purchased in January 2016. Throughout the whole process of finding the floor plan we liked (as well as making some minor adjustments to make it just right), to showing us several houses similar to what we would be buying, to being patient while waiting for us to make a decision, to making the paperwork as easy as possible, Alliance Manufactured homes is the best! We knew from the beginning that adding all the extra features to our home would be costly, and Ara Sarkisian was great about letting us know how much each item was and helped us with our budget. Ara was very professional throughout the process and I would recommend him to anyone looking at purchasing a manufactured home! He even sent flowers after we were settled in and having our house warming party! We’ve been in the home now for about two months and the home is very solid. Double pane windows and excellent insulation keep this place cool on the days it’s been hot, and we’re in love with our kitchen! I don’t have any bad things to say about Alliance, they’re awesome! Our family’s journey started last year in May when we were searching for a home. We found Lan Nguyen because our previous agent wasn’t doing his part. Lan has been amazing, we purchased our home with her and we worked with Lan when we sold our home this year. We have been very happy with the way Lan has handled the whole process from helping us list the home to the final step of signing off in Escrow. Be sure to work with her, you will not be disappointed! We’ve been in the new home for 2 months now with no complaints. My wife and I have dealt with Brian Shaw from the beginning to the end. He is amazing!! Did you know you can completely customize your home?? We do now :). My wife and I had the home of our dreams built and delivered just as promised. Sure, there were a few things here and there after he fact, but hey, they transported it by trailer and things have a tendency to shift during transport. No big deal, that’s what the warranty is for, use it!! We took two different home plans and combined them for our home. I wanted a sliding exterior door in the master to the backyard. Boom, done! I wanted NO stairs in the driveway so I had more vehicle room. Boom, Done! I wanted to move the fireplace to another wall for an open kitchen / dining room floor plan. Done!! It is amazing what can be done. Brian Shaw knows his homes, no BS. We upgraded the stove, added a wall and french doors in the newly added study. The possibilities are quite endless. And, it’s a fraction of the cost when compared to an actual home. Now, I can invite friends over and not be embarrassed. Thank you Brian!! I purchased my home from Alliance Manufactured Homes several years ago and have enjoyed it immensely. I’ve bought and sold several homes in the past and this process was the best, thanks to my terrific realtor April Dawn. I had many questions since this was my first mobile home. April’s patience was infinite and I always felt she was a great advocate for me. She is conscientious, professional, friendly and consistently follows through without being reminded. I recommended her to a friend, who is equally enthusiastic, as are several acquaintances who have worked with her. I recommend April unequivocally. She is my realtor for life! We had a great experience buying our Skyline home through Alliance. Rita was great and so knowledgeable about the home and the different mobile home parks in the area. She made sure we were taken care of, even if she wasn’t immediately available. Rita also kept us in the loop as far as when the home would be ready. It was right on schedule! Suzie and Sylvia in the finance department were also fantastic. Everyone was very patient with answering all of our questions since this was our first mobile home. I would highly recommend them! We cannot say enough about Alliance Manufactured Homes, and Michelle Quintong. 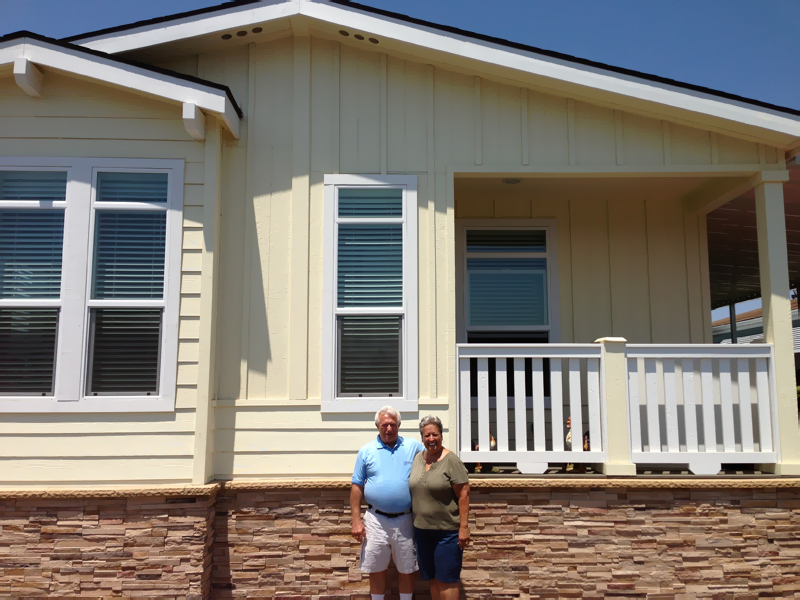 Their manufactured homes are simply beautiful, and their construction exemplifies the utmost quality. Throughout our experience looking at these homes, we have been so fortunate to work with Michelle. She has the uncanny ability to be warm, knowledgeable, compassionate, patient, and professional all at the same time. Alliance is very fortunate to have her represent their homes. My family and I purchased a home from Alliance. Alex Ching was our agent, he was wonderful, held my hand through the whole process. Alex was so understanding with all of our questions and would tour us through the models numerous time without complaint. Alex did such a great job with our purchase that now my sister and her family are in the process of buying a new home with Alex at Alliance. I would highly recommend him! Connie did an excellent job in representing my husband and I as sellers, representing the buyers and securing a new Alliance home for us. Everything went so smoothly and it was unbelievable. Connie is always good about returning phone calls right away, has a positive attitude, very professional, organized and I can always call her with any questions or comments. I have already started recommending her to others and would definitely use her services in the future. Connie is one of a kind! All in all, I had a fantastic experience with Alliance homes. It’s been a very rough year for me. I lost my father, and as his only daughter, I had to quickly prepare and sell his manufactured home, which I had inherited. My father had originally purchased the home through Alliance, and he’d had a good experience. Naturally, I reached back out to them to see if they could help me with the sale. Glenn came by, was extremely kind given the circumstances, and went out of his way to make the process easier on me. Rita was the agent who managed the preparation and sale of the home. She was SPOT ON. Proactive, communicative, and hard-working, Rita will do what it takes to get the job done. She helped me identify incremental positive ROI areas of investment that would help improve the value on the manufactured home. Rita went above and beyond, and in the end, I don’t think any other team could have delivered such strong results. Ricardo helped me buy and move into my home this January and is now helping my parents do the same. He is professional, knowledgeable and responsive. I grew up in a realtors family (grandpa, uncle and dad) so I know a good realtor when I see one. Ricardo is great! My dad, who is still a realtor has nothing but good things to say about Ricardo and Alliance as well, and he is demanding and has high standards! Best thing I ever did was walk into Ricardo’s open house last fall. Thanks again! I have recently purchased a beautiful home from Alliance Manufactured Homes, I along with my family are very pleased with our new place. Ricardo was my agent and a pleasure to work with. Was with me for every detailed decision I made in regards to customizing my new home. Many times I called and he didn’t answer, he would call back within minutes. Getting approved from the park to reside with them is pretty strict.. Once you are in with them.. Working with alliance is a breeze.. I would highly recommend buying through Alliance and using Ricardo as an agent.. Actually the entire staff is very friendly.. Thank you for making a big move in my life a smooth one. My husband and I have been completely satisfied with the new manufactured home we purchased from Alliance Manufactured Homes and with our agent, Rita Hutchins. Our home is incredibly beautiful. The kitchen with its spacious design, drawer cabinets, and granite counter tops is the nicest and most functional one we have ever had. Our relatives have been amazed at how beautiful and well-designed a manufactured home can be. We did extensive research prior to deciding upon a manufactured home and Alliance. We found that Alliance’s quality was far superior to competitors. The staff that we worked with throughout the entire process was professional and courteous. We were particularly pleased with our agent, Rita Hutchins. We moved from the East Coast and relied on her for help with many decisions. Having extensive experience with manufactured homes and real estate, she was knowledgeable, helpful, and responsive. Her design ideas were excellent and we were able to work as a team to decide on floor plans, color schemes, and location. When necessary, she advocated for us and was able to help us get what we needed within our time frame. Buying a new home is a complex and detailed process. The only caution I would offer to home buyers is that they keep a record of details and decisions and carefully review the Production Order prior to finalizing it. We were given this recommendation by another person and found it invaluable in making sure that no details were missed. My husband and I would not hesitate to recommend Alliance Manufactured Homes or Rita Hutchins to a prospective home buyer. We have no regrets about our decision and would do it again without reservation. My husband and I pondered the thought of selling our home for many months. We finally decided that now was the time to make our move and contacted Brian Shaw of Alliance Homes to get some information about selling and whether or not it was the right time based on the market. Brian was very knowledgeable and answered all of our questions without pressuring us to list. After taking some months to think about it we contacted Brian again and got our house listed. IT SOLD WITHIN 1 1/2 WEEKS! Brian made the entire process easy and went above and beyond to ensure that we had as little stress as possible during our sell. I would definitely recommend Alliance Homes and especially Brian Shaw to anyone buying or selling a home. GREAT EXPERIENCE! 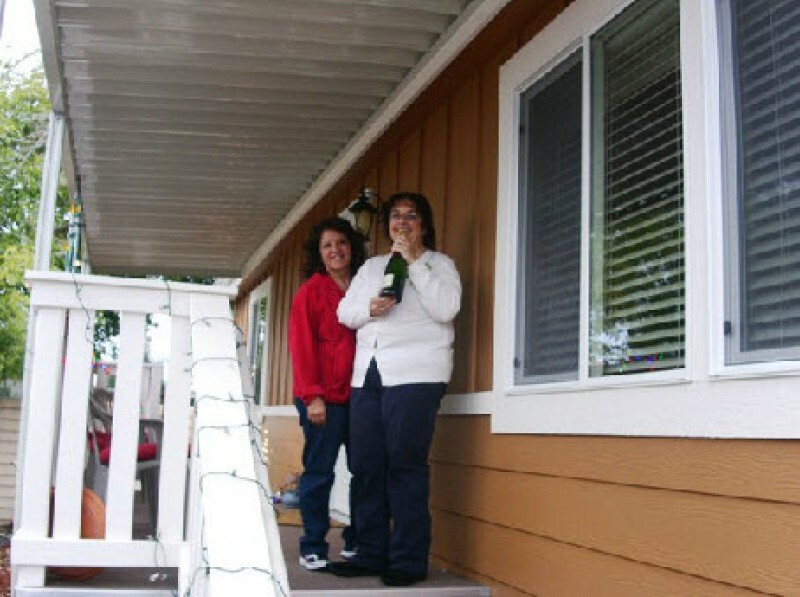 My mom and I bought a manufactured home from Alliance and moved in at the end of May 2013. I looked at a model home and was so impressed, I bought the house I ended up in (which was a different model), sight unseen! All I had was a floor plan. I was a little nervous but my real estate agent was impressed with the material they used on the model home and the real estate agent for Alliance, Grant, reassured me and made me feel confident that I made the right choice. Well, we bought the house in February and the house was finally ready in May. We did the final walk through and WOW, It was better than I expected! Grant was superb!! I never thought I would be living in a manufactured home in a moble home park, but I am so glad I took a risk and bought this home. Everyone who comes over is so impressed! When I see Grant selling homes in the neighborhood, he is always friendly and professional. I would buy a house from Alliance again….great and wonderful experience! Recently I had the fortune of working with Alex Ching as my agent in dealing with my uncle’s mobile home. This was an extremely hard time for me because I was dealing with my beloved uncle’s death and being the administrator of his estate. I was impressed with Alex from the onset. What I appreciated was that he was not one of those “aggressive” types. He is calm, courteous, and most importantly, sensitive. Those are the most important ingredients in dealing with professionals to me. Yet, while he possess all of these assets he was aggressive in getting the home sold and listening to my needs. To me, this is what I would call a top professional. The home sold before I could blink my eyes. I wish I dealt with people like Alex all the time. The world would be a much better place. I suspect that Alex will succeed in whatever vocation he wants to pursue. I was a supervisor for close to 20 years and I can assure you I would hire a person like Alex without reservation hesitation. I want to thank you for hiring Alex. I couldn’t have asked for a better agent. Thank you so much for everything you did for me to make my new place awesome. I really appreciate ALL the things you did that were ABOVE & BEYOND! You were an absolute pleasure to work with and I hope to have the opportunity to purchase (or sell) from you again! Take care. I want to thank you for making my life more beautiful by enabling us to create our dream home. Throughout you have been a fabulous leader, listener, and wise friend, and I really appreciate your taking us on. Because of your efforts, our children now have a fabulous house to call home. Thank you again for making life more beautiful. I second everything Elana wrote over there! We are so tremendously happy with the house, and also greatly appreciate everything you did with us throughout the process. You are a true mensch and a pleasure to work with. Thanks also for putting up with my relentless perfectionist tendencies-you are a true gentleman! I thank you for the excellent service you provided in the purchase of my home. All phases of the transaction were completed efficiently and acutely. As you recall I purchased my new home on site. The colors, options, and finishes were exactly to my taste and exceeded my expectations. The choices you made in ordering the home were perfect. I am very happy in my new home and my neighbors continually complement the way the home looks. I also thank you for the after sale service you and your organization provided regarding unforeseen problem with my on site shed. I do appreciate the consideration, speed and flexibility that was afforded me in rectifying this unfortunate occurrence. Before, during, and after sale service is the true mark of excellence. I’m writing to let you know about our extraordinary satisfaction with the professionalism of your agent, Brian Shaw. When we first cold-called your company in January, 2013, Brian was our first contact with Alliance. We had outgrown our current two-bedroom apartment, but honestly just couldn’t afford the half-million dollar traditional homes in the Silicon Valley. When we decided to research manufactured homes, we came to Brian with an exhaustive list of questions, and he spent a good three to four hours on a Saturday afternoon where he patiently and thoughtfully answered all of them in great detail. What impressed me the most was Brian’s honesty when I asked him to identify your primary competition and tell me what makes an Alliance home stand apart from them. He not only identified your competitors by name, but he actively encouraged us to go take a meeting with them and learn about their offerings. He was forthright and confident about the superiority of the Alliance craftsmanship, construction, warranty, and customer satisfaction metrics. I really appreciated that he didn’t try to obscure any facts. As a side note, when we did go to your competitors and asked them the same question, they wouldn’t identify your company by name. Instead they identified the manufacturer of your homes. I liked that Brian knew that if we went to research your competitors, we would come back to Alliance confident that we were going to get the best product and service. As our relationship with Brian matured over the last six months, he proved to be a man of integrity. He routinely made himself available to us—mostly at our convenience—by taking calls, texts, or emails after business hours or on weekends. He helped us customize our home, and worked with the manufacturer to develop plans for substantial reconfigurations. Brian has a can-do spirit. Out of all the things we asked for in our home, we got about 95% of them. The other 5% were things outside Alliance’s control anyway. Near the end of the construction process and close of escrow, Brian remained accessible and engaged. He never abandoned us once the deal was signed and construction was underway. In fact, Brian was the opposite. There was a period of a few weeks after our order was submitted to the factory where there wasn’t really a need to consult with Brian. But, that didn’t stop him from proactively reaching out to us to see if we had any questions or if there was anything he could do for us. To me, that is what superior relationship management is all about, and it only served to affirm our confidence that we were doing business with a great company and a model representative of that company. Mr. Chatoff, we can be difficult customers sometimes, particularly when making a big life purchase like a new home. We held Brian to very high standards and expectations, and I am happy to report that he exceeded them at every turn. He never made us feel as if we were bothersome with our numerous questions and demands. You may be pleased to know that the response by our new neighbors about our home has been overwhelmingly complimentary and flattering. When we are given the chance, we are delighted to recommend that people should talk with Brian Shaw. In our considered opinion, he is a high-value asset to your organization, and the type of agent to which others in his industry should aspire. This coming August will make two years that we have been living in our brand new home and it has been wonderful. Please accept our belated thank you for all that you have done for us. It was truly a pleasure doing business with you. We were looking to buy a home. We happened upon an Alliance Home and instantly fell in love with it. We love the design and quality of our home. Our kitchen is state-of-the art modern and beautiful. We love all the amenities that you carefully and artistically put into it like crown molding, recessed ceilings in the living room and master bedroom and tile and granite tops in the kitchen and both bathrooms. There have been only a few minor problems and they were all addressed promptly. We had looked at other competitors and there is no comparison, the quality and attention to detail were definitely missing. Everyone who comes over comments on how enjoyable it has been living in our community. We sincerely thank you and are grateful for the excellent customer service you and your staff have given us each and every time. Alliance has always been very responsive to all our needs. I am very impressed with them and the people who work there. We will happily recommend Alliance Homes to our friends and family and anyone else who is looking to have a beautiful home built. When the time comes to buy our next home, we’ll definitely have Alliance build us another first-class home. Just wanted to let you know how extremely pleased we were with the overall experience we had with you as our agent representing us in the purchase of our home in Mountain View. From the very beginning of the transaction we got off to an excellent start with your understanding of our needs and the importance of time sensitive issues in a competitive market, allowing us to have our offer accepted in the very beginning. As the transaction progressed you were always there for us in answering our questions or coming up with solutions or ideas to our questions along the way. We found you to be extremely knowledgeable and professional throughout the entire transaction. Many times you went that extra mile for us just to make everything workout so smoothly. We would like to give you our highest recommendation for all your efforts and the results that came about from a job extremely well done. If anyone ever wishes to hear more about our endorsement about your capabilities please feel free to have them contact us. Jay and I can not express how grateful we are for our new brand new home. We have lived in Mountain View for 28 years never having to opportunity to be home owners. In our last rental of 23 years we were asked to move out of our duplex at the beginning of April so our landlords son could move in. We were in shock. We started looking for rentals at first, but the rentals were over 2,000$ a month so my parents willingly decided to give us some money for a down payment on a townhouse or condo. We found out how crazy the market was and we were about to give up on owning until I ran across a manufactured home that I saw on Zillow that was sold by Alliance.I called the realtor, Candy Bruno, and she was amazing. She answered all my questions and was as excited about the possibility as I was. We set up an appointment for the next day. When my husband came home from house and rental searching he looked weary. I told him I thought I found an answer to our prayers. I had him come to the computer to look at the pictures and he said this looks to good to be true, but I will go and take a look at it. He then warned me, “Don’t think I am going to put any money down on this. I will need to take a few days to think about it.” Well as soon as Candy brought us through the front door it only took him 15 minutes to let us know that he wanted to do the paperwork to buy the home. We were suppose to be vacated out of our rental on May 12th and that was the day we closed escrow. It truly was a miracle. We could of never done it with the care and expertise of Candy and Laura. The people at Alliance are so hard working and such an advocate for their perspective buyers. I have not met any of the other realtors at Alliance, but if they have even half Candy’s work ethic it will be worth it. We love the Casa Amigos community and our new home. Every time I walk through our door I thank God and Alliance for the opportunity to live in such a quiet, safe, and homey community. We are recommending Alliance to all of our friends that may be looking to buy. Thank you to Candy at Alliance for helping us buy our first home. We now have a place of our own to bring our bundle of joy home to in August. We love the community and are happy to call it home for our 6 year old and baby on the way. Our neighbors are so nice and we have already made friends around our little “neighborhood”. Candy really helped us through the process as this was our first time buying a home. We were not sure what to expect or what was expected of us but we were reassured and lead through the process with patience and professionalism. I have recommended Candy and Alliance to a couple friends and will continue to do so in the future when friends ask about our home. Just a note to let you know how very pleased we are with our home purchase. It has already been 6 mo’s since move in! The home is beautiful. The workmanship, attention to detail and quality, is far superior to any other manufacturer we looked at. And, the experience with you and Alliance, even surpasses that! You were a pleasure to work with, and your on-site team was efficient and professional. Everyone on the Alliance team has been very responsive and attentive. The home purchase resulted in everything we had hoped for! We continue to recommend you to everyone we know. Mike W. and Willie G.
I bought my new mobile home from Mr. Ricardo Arriagada’s major help. He helped me a lot in purchasing this home from the seller and agent. I am extremely happy with the house. I am very much thankful to Mr. Ricardo. I will do business with him anytime without any hesitation. He is very professional and helped us a lot with the home purchase. My husband and I are so very happy with our new home from Alliance. Our Alliance agent Rita Hutchins found us our beautiful new home and in the area we wanted Sunset Estates. Alliance was also able to sell our old home at our asking price quickly. We are so very pleased. It’s been a year now living in our new home and it’s been nothing but wonderful. There have been only very, very minor problems and they were all addressed promptly. Everyone who comes over remarks on how much they like it! Thinking back now it’s amazing you were able to help us get into a new custom ordered home on short notice. Our only regret is we did not have more time to plan it, and a bit more money for some of those extras we had in mind. Everyone in our office was a great help and really made a stressful time a bit less troublesome. Next time around I would go with Alliance again and, with more time and money move into an even grander palace. Grant Gilliam is the best! I bought my house a year and a half ago and he is still helping me. I am putting hardwood laminate floors in my bedroom today. I was a little concerned about the leveling of the floor. I called Grant and he immediately sent someone to take a look at the floor. Mind you my warranty has been expired. When a construction crew ruined my kitchen floor, Grant gave me free flooring and a gallon of touch up paint. If you are thinking of buying a manufacturing home and want the best in the biz, contact Grant Gilliam. From the very beginning of my home buying experience Grant has been outstanding. Check out my testimonial on his company web page. It was truly a pleasure doing business with Alliance Manufactured Homes. My husband and I had just moved back to the Bay Area and wanted to buy a home. Rentals are very high and did not make sense to live in a small cramped space. We drove through the community and found Alliance Homes, toured a couple of their homes and then we fell in love with our layout. Almost 2000 square feet of living space, with all amenities that you can imagine. the price was great and we love living here. Grant was an excellent sales person and became a mentor as we progressed into our purchase. Both my husband and I are happy to recommend Alliance Manufactured Homes as your next home purchase. I am very happy with my new home. It is everything I wanted and more. My neighbors are quiet and very friendly and the staff at my new park are extremely nice and available. The home buying process was a little stressful but after things got moving, I must admit it was an enjoyable experience. I would recommend Alliance Homes to my friends and family and anyone else who is looking for a home. It’s one stop shopping at its best! I just want to thank everyone at Alliance Homes for building my new home after the Sayre fire and I would like to really thank April for helping design and rebuild my new home. I love the design of my new home I worked with April to modify my old home into something new. My kitchen is beautiful as is the whole house. When you lose everything you own you feel very discouraged but my experience with Alliance Homes and April proved to be the best move for me in obtaining a company who cares and makes beautiful homes. I had several manufacturers to choose from but I felt the quality of their homes was for me. I would recommend them to anyone who is looking to have a beautiful home built with quality people to work with. Thank you very much for the update! We look forward to being owners of 433 Sylvan Ave #4, at Sunset Estates. We will remember all the people that helped us along the way to make this a reality. Of course, April you shine above all the rest. We are very grateful to you for your stellar professional manner throughout the entire process. Also, your kindness, thoughtfulness and warmth endears you to our family and this family memory. Remember to call on us when you have prospective buyers and anytime you have some free time, you are always welcome to come visit (bring the family too). Today is a special day for Mike and I (and all the family). We were coming to the end of our listing with another agency when we saw how hard Ricardo Arriagada was working to sell a listing in our neighborhood. We called Alliance and soon Ricardo was our listing agent, too. Ricardo worked hard for us – he held Open Houses regularly and, perhaps most importantly, kept us informed on the market conditions and our positioning in the market all during the time we were on the market. From the beginning he asked us what the most important features of our home were from our perspective and he continued to market it with that frame of reference. Ultimately we sold to a nice family who could appreciate the home that we had enjoyed. When our house sold, we honestly felt it was the best outcome under the circumstances. We think it takes quite a professional to leave you feeling up after selling in a down market. Ricardo became a trusted friend and we could not recommend his services more highly. We bought a Skyline manufactured home from Dave Smith at the Soquel office of Alliance in 2009 and have been living in it since then. Thanks to Dave Smith, and his excellent staff, the home is exactly what we wanted. Dave gave us more personal and kind attention than anyone could ever ask for; he led us through all the steps – choosing a floor plan and adapting one to our needs, setting up the site prep and home installation, choosing the interior decor/appliances etc that best suited our needs, picking out paint colors/ carpet grade/style. Alliance’s excellent construction crew did the extensive site prep required by the state and installed the home with speed and expertise. The crew was wonderful – not only experienced and skilled, but also friendly and courteous. We can recommend Alliance and Dave Smith without a single reservation. When we were looking to downsize from our longtime residence; Alliance Homes made the process very easy for us. Their knowledge of the manufactured home communities in Santa Cruz County was a great help. As a Realtor specialising in manufactured homes, Dave Smith went the extra mile in helping with the park approval process. Dave’s experience as a General Contractor increased our comfort level when it came to the design and placement of our new home on our chosen lot. We were able to tour a number of model homes set up to help with our final decision. From start to finish no surprises were encountered, our home came in on time and most important to us within the buget with which we had to work. Nick and I send you MANY thanks for the wonderful gifts! We are delighted and appreciative. May you have great fortune in your sales career and may we remain friends. You were a very important part of our ‘big move’ into this new chapter of our life. Keep us in mind when you need future references. I will continue to talk you up to anyone here who mentions they might want a new home. I would like to thank Grant and Laura who helped me in acquiring my new home without any stress at all. Our business ran so smooth and its because of the dedication and care you have extended to us. Again, thank you so much. I haven’t bought a home with them yet, but I have dealt with Alliance before. April Dawn has been nothing short of great and informative with us. We are looking forward to a great home buying experience with Alliance. I have been in the real estate market for almost 30 years as both a buyer and a seller in Santa Clara Valley and have been represented by several agents over that time. 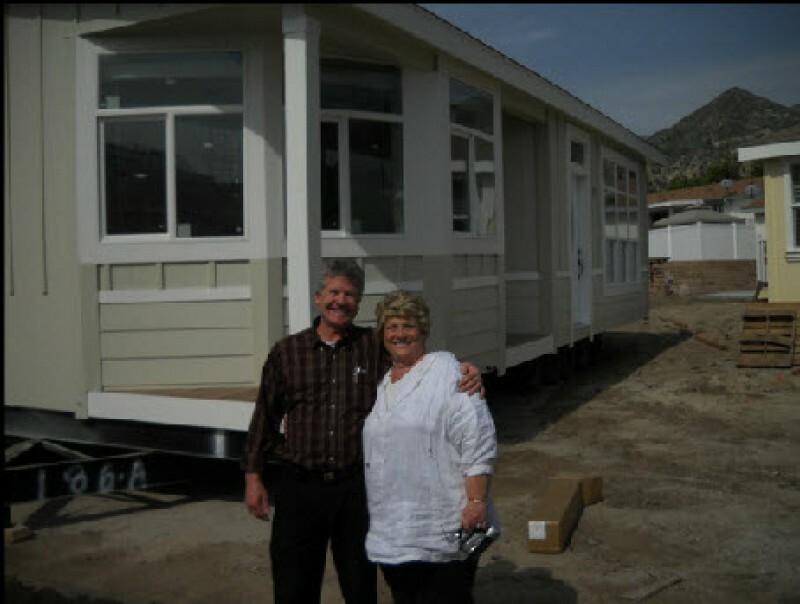 I am very pleased with my experience with Connie Smith in the purchase of my mobile home in San Jose. Her main concern during the search process was that I find a place that was right for me. She is very knowledgeable of the current market and neighborhoods. She was very responsive whenever I called, and educated me about the market and available units. She was always there to answer any questions I had, always listened to my priorities and needs. Her advice and guidance was always accurate and I felt like I came first. I consider Connie a top notch professional and will serve as a reference any time she’d like. Please accent my belated thank you for all of the time you put into my new home. It’s beautiful, and I’m enjoying it very much. I will gladly refer anyone to you who is interested. We would like to thank Dan Valcazar of Alliance Homes for the excellent job he did in helping Mary and I find the right home for our retirement and, also for all his efforts in quickly selling our existing home. As a former real estate agent, I can appreciate the time and work required when buying or selling a home for a client. In our case Dan did a great job of both! We especially appreciated his honesty and ability to help us view our home in the eyes of a new buyer. With some minor improvements and marketing suggestions from Dan, we placed the home on the MLS immediately. He had a plan to market our home using the latest computer technology including a visual tour with room by room photos. Even in a market with lots of competition and numerous foreclosures, we received an offer within two days of the listing and closed it in 30 days. Dan kept us informed during the closing process and helped us resolve some issues that could have become a problem. He was always accountable for his actions and commitments throughout the sale and after the final closing. We really like our new home and would be happy to recommend Dan Valcazar to any prospective buyer or seller. Thanks again Dan, You’re a great Real Estate Professional and a good friend !! Thank you very much for your kindness and hard work. We appreciate it so much. May you and your family have a wonderful Thanksgiving Day. Sales staff are great to work with. 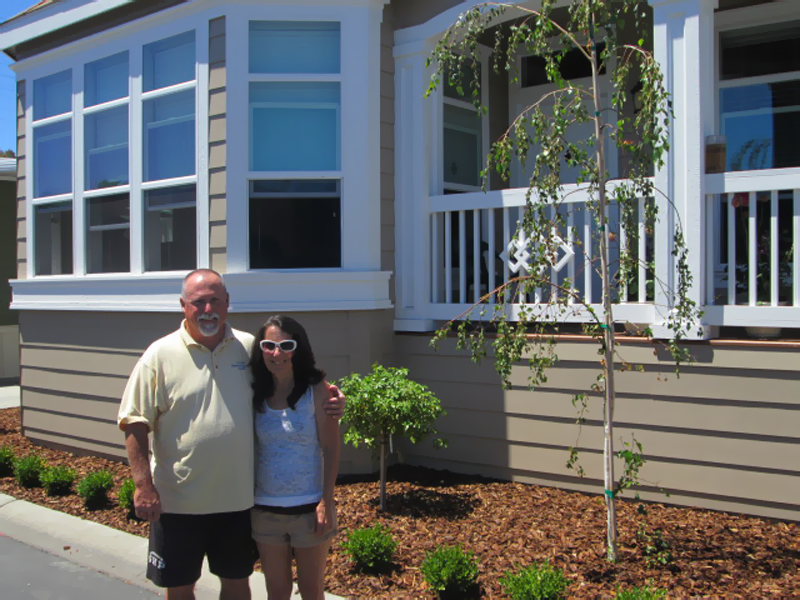 They are very knowledgeable on all aspects of MFH’s and the various parks in the Bay Area. The Installation of the home was on time and complete. Alliance has always been very responsive to all our needs along the way. My wife and I are very happy living in our Karsten home. The home is well built and nice to look at. All our family and friends have made nice comments about it. Our utility bills are very low since home is very efficient. Thank you so much for your expert guidance, helpful suggestions, generous stretching of our dollars, and hands-on care through the entire process of purchasing our new home. I want to sincerely thank you for everything. I would like to commend you on your professionalism and dedication to our project. You took a drawing and created a spectacular home for my parents and for this, I am truly grateful. You never faltered from your commitment to fulfilling our requests towards this project and your attention to detail is truly praiseworthy. You took the time to understand and insure that the safety concerns for my parents were addressed and achieved. I don’t know what else I can say except thank you from the bottom of my heart. Because of your work ethics, I know my parents will enjoy their new home immensely. I would like to take this opportunity to thank you for the time and energy you have put into assisting me in selling my home. I know that the last year has been difficult for all, but you never waivered in your optimism and commitment. I would not hesitate in recommending you as the listing agent for anyone seeking to sell their manufactured home. Again, thank you very much for your time, diligence, and professional integrity. When we met up with Ara, our exceptional realtor, we had found someone so knowledgeable, creative and capable of adjusting to our modest circumstances and special requirements and tastes that he became the core member of a very fruitful collaboration. Fitting the home we wanted into the dampening, air-filtering redwoods – was tricky, and Ara’s college degree in Architecture certainly didn’t hurt. Working with Dave Smith was a pleasure from start to finish. As I told him, he has such a cheerful personality that I will miss talking to him. You are lucky to have him on your team. He was always on time, always kept his cool, had a smile on his face and a pleasant demeanor – even on those days when I bet he didn’t feel like it. He spent an entire Saturday touring us around your various sites and homes, spent copious hours with me designing every minute home detail and answered our constant questions. He modified our order multiple times, as we found things we wanted to add or change, without complaint. He gave us many great design/lay-out suggestions which make such a difference in the finished product. We so often notice/appreciate a feature that Dave suggested and think: “Thanks, Dave.” He worked with the factory to accommodate our special requests. Everyone who walks into our home comments on how beautiful it is – cozy and welcoming – a compliment both to Alliance and to me! We chose to buy from Dave Smith because he was honest, knowledgeable about the construction of our manufactured home, and answered our questions in a timely fashion. We always felt confident that he was truly paying attention to our concerns, wants and needs in creating our home… We LOVE our home. It is comfortable because it is everything we asked for. Dave paid close attention to what we wanted and attended to the details himself. We appreciate Dan for staying in contact with us during the listing and sales process as we were living in a different city… He also checked with us after the close of escrow and assisted with some final unfinished escrow details. If asked in the future for a good sales agent for manufactured or mobile homes, we will recommend Dan Valcazar from Alliance Homes. Cliff and I wanted to express our appreciation for your professionalism and responsiveness to our concerns and questions during the purchase of our home at Willow Ranch. No matter how many times or the lateness of the call, your availability was assured. Cliff and I would certainly recommend you to any of our friends and acquaintances looking to purchase or sell a mobile home in the South Bay Area. Thank you again for being a super agent and actually listening to our concerns and requirements. Clifford & Nanny J. Johnson Jr.
Alliance had the best selection of homes and were willing to work with us to obtain what we we wanted and needed for a new home… My wife is happy with the new kitchen and bathrooms and I find the configuration of the home is very useable… Alliance was very helpful in underestanding our needs and guiding us in our choices so that we got the best results for our family and lifestyle. They were there for us no matter what problem or question we had. They assisted us in negotiating the paperwork required for the city, county and state… We are very happy with our new home and would recommend Alliance to anyone who is interested in having a well built, quality manufactured home.